Sunny early then partly cloudy and windy later in the day. High 87F. Winds WSW at 20 to 30 mph. Higher wind gusts possible..
PALMDALE — Three Palmdale women who operated convenience stores in Palmdale and Littlerock are among 17 people charged in a food stamps-for-cash scam that allegedly defrauded the federal government out of an estimated $6 million, Los Angeles County District Attorney’s Office officials said Tuesday. Maria Teresa Ramirez, 37, is charged with eight counts of Supplemental Nutrition Assistance Program (SNAP) food stamp fraud; Yessica Raquel Garay, 37, faces two counts of fraud and Maria Magdalena Salgado, 54, also known by the last name Gonzalez, is charged with seven counts of fraud. All three women are also charged with one count each of conspiracy to defraud another of property and misappropriation of public funds. The charges include allegations of taking more than $500,000 through fraud and embezzlement. The other 14 people charged allegedly used their SNAP cards to receive cash at the stores. Arraignment has not yet been scheduled for any of the 17 charged. 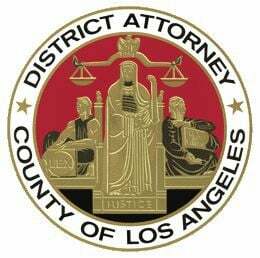 From 2011 to 2017, the three Palmdale women are accused of illegally exchanging SNAP benefits for cash, Deputy District Attorney Michael Fern of the Cyber Crime Division said. They allegedly charged fictitious SNAP-eligible purchases to the benefit cards and collected fees for the transactions. Ramirez owned stores in Palmdale and the unincorporated community of Littlerock, and Salgado, who is Ramirez’s mother, also owned one in Palmdale. Garay worked for Ramirez at her Palmdale store before taking over the business. The U.S. Department of Agriculture, which is named as a victim in the criminal complaint, conducted an investigation of these SNAP-authorized stores and determined their owners had engaged in SNAP fraud. The three store operators and most of the other defendants were arrested Tuesday by the District Attorney’s Bureau of Investigation. If convicted as charged, Ramirez, Garay and Salgado face a possible maximum sentence of nine years in state prison. The other defendants face up to three years in county jail. The prosecutor is recommending bail be set at $275,000 for the women and at $20,000 for each of the other defendants. The case remains under investigation by the Bureau of Investigation.